The Costa Chica of Oaxaca includes indigenous peoples (Mixtec, Zapotec, Chatino, Amuzgo and Tacuate), African-Mexicans, and mestizos. It also has a great variety of dances that represent the artistic and cultural expression of its peoples as well as their rituals and beliefs. These dances are usually performed at important celebrations in these communities and at festivals like the Coastal Festival of Dance in Puerto Escondido every November and at the Guelaguetza in Oaxaca. 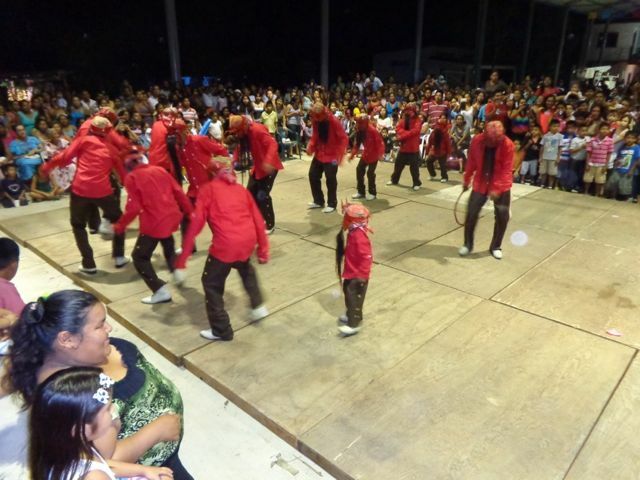 The Dance of the Devils (Danza de los Diablos) is traditionally performed in communities of African-Mexican descent. There are differing stories concerning the origin of this dance; some aver that it developed as a form of protest against the harsh condition of slavery. The dance forms part of a ritual dedicated to the spirt of the African god Ruja who the slaves prayed to for freedom from their servitude, and the beginning of each dance and musical piece includes a ritual of reverence and respect. 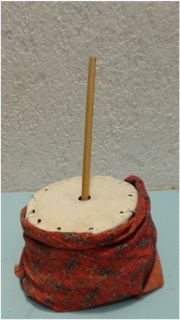 The Bote del diablo (arcusa) - a friction instrument in which a threaded stick smeared with beeswax is inserted into the center of a gourd that has a leather drumhead tied to its top. The sound is made by the stick being rubbed with force between the fingers. The Armónica - the wind instrument that carries the tune. It is said that it derives from a hard wood flute that the aforementioned witch provided to cure children suffering from the evil eye. The charrasca - a percussion instrument made from the lower jaw of a burro. It is used to cure broken hearts. The dancers’ masks are the image of the African king, or god, Ruja. They are made from deer skin and horse tails or manes, and leather or cardboard. The hats are wool or deer skin. The costumes vary. Some groups use old or tattered clothes, other groups wear brown pants and shirts that look like leather, and others dress all in red. The main devil dances in leather chaps. The dance is performed by 26 men (devils) including the two principal characters: the father of the devils and the minga, their mother. At present, this dance is performed mainly in communities of African descent to celebrate the Day of the Dead. The devils dance so that the dead will visit the living and participate in the fiesta and share the joy of being with us again. 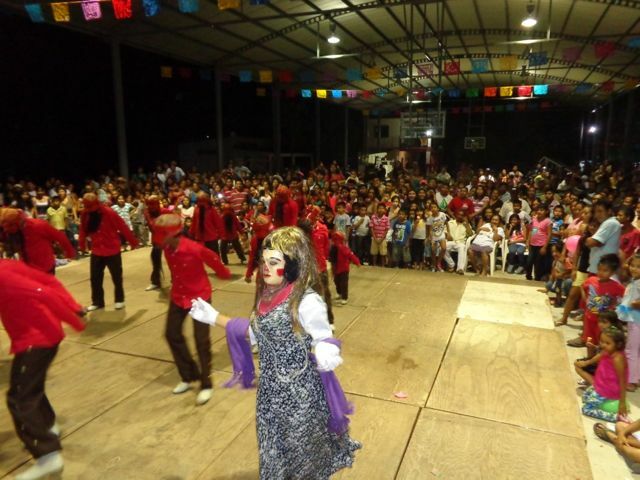 There are many other dances that are performed on the Costa Chica of Oaxaca; some are famous, while others are only known in the communities where they are practiced. There are various programs and events directed to groups interested in strengthening their cultural inheritence. 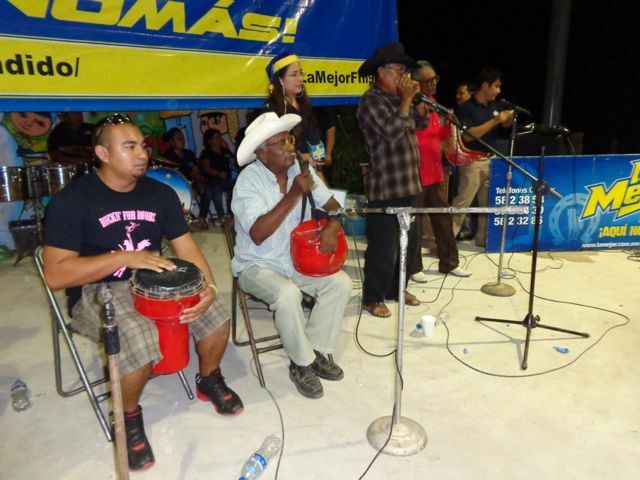 The Unidad Estatal Puerto Escondido de Culturas Populares del CONACULTA, offers workshops for cultural reflection as well as advising on the development of projects aimed at drawing attention to the cultural inheritance of the communities.